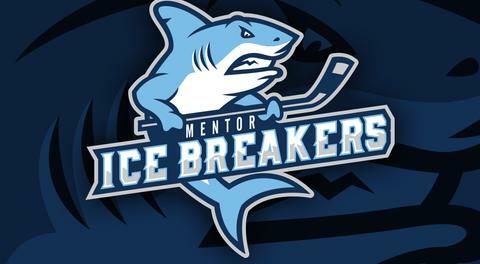 Mentor, OH—The Carolina Thunderbirds finished out a three-game sweep of the Mentor Ice Breakers on Sunday evening at the Mentor Civic Ice Arena. Carolina netted four first-period goals en route to a 6-3 victory, bringing it to within one win of the FHL record of 21 consecutive wins. Jiri Pargac opened the scoring at 4:18 of the opening frame, picking up a rebound in front of the net and sneaking it through on the near post. The Thunderbirds, who spent a good chunk of the first period on the man advantage, capitalized on a power play at 8:53 to give Carolina a 2-0 lead. Mentor responded about five minutes later to cut the Thunderbirds’ lead in half. Declan Conway skated the puck into the Carolina zone before it was poked free by a T-Birds’ defenseman. Nate Farrington scooped up the lose puck and snuck it under the glove of Carolina starter Frankie McClendon for his sixth goal of the year. At 16:35, Carolina was able to answer when a Stanislav Vlasov slapshot from the point found its way to the back of the net untouched despite heavy traffic. Goaltender Derek Moser, who has three shutouts this season, was screened and didn’t see the puck until it had already passed him by. Just 53 seconds later, the Thunderbirds struck again when Karel Drahorad netted his 10th goal to push Carolina’s lead to 4-1. Drahord has scored four times in nine outings against the Ice Breakers this year, but the goal was his first of the three-game weekend series. In the first period alone, Mentor and Carolina continued their heated rivalry and combined for 40 penalty minutes, including a pair of fights. With less than two minutes left in the first period, Carolina blueliner Dominik Fejt jumped Thomas Devesvre in front of the Ice Breakers net after a whistle. Both players received five-minute majors for fighting while Fejt picked up the additional two-minute penalty for instigating. With just nine seconds left in the opening frame, forward Steven Fowler had the puck behind Carolina’s net before spinning around the cage and depositing it high on the near side to make it a 4-2 game and beat the Thunderbirds’ league-best penalty kill unit. Declan Conway chipped in with the lone assist on the tally. Both teams traded scoring chances in what turned out to be a very physical second period. At 11:08 of the frame, Mike Baker tipped in a shot that beat Moser through the five-hole to restore the T-Birds’ three-goal advantage. Shortly after, Fejt was hit with a game misconduct as well as a five-minute major for a dangerous hit into the boards. 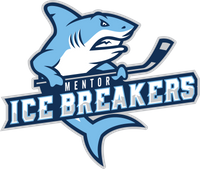 Mentor forward Alex Morrow took a double-minor for roughing on the same play, so the Ice Breakers only received one minute of power play time. Other than a brief scrap between Mentor’s Patrick Porkka and Vlasov at the horn, the rest of the second period was relatively quiet. Porkka went on to score at 5:52 of the final frame to bring the Ice Breakers within two goals. Gordy Bonnel and Devesvre were credited with assists on the goal, which stretched Bonnel’s point streak to 17 games. 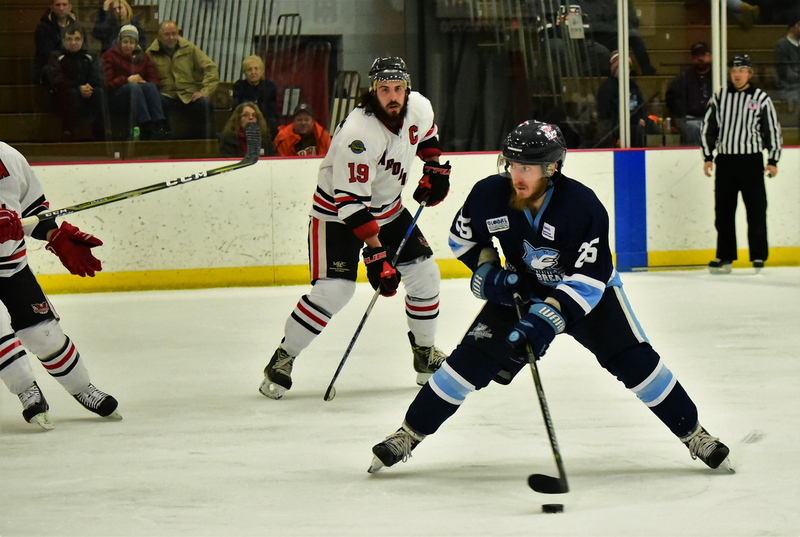 The Ice Breakers had a chance at a comeback after pulling Moser for an extra attacker while on the power play late in the game, but Bunn capped off the scoring with an empty-net goal at 17:49. For Carolina, Fallis had a three-point outing with a goal and a pair of helpers while Pargac collected a goal and an assist. McClendon moved to 5-0-0 on the season after stopping 21 of 24 shots while Moser fell to 7-9-2 with a 37-save effort. Both teams had successful nights on the penalty kill despite heavy workloads. Mentor killed off 10 of 11 Carolina power-play chances while the T-Birds went 7-for-8 on the kill. The Thunderbirds led in shots on goal by a 43-24 margin. The Ice Breakers are in the midst of a brutal portion of their schedule. Next up, they’ll be tasked with a pair of road games against Elmira, which has won seven games in a row, on February 1-2.